The D3500 takes over from 2016’s D3400 as the entry-pant to Nikon’s DSLR range. 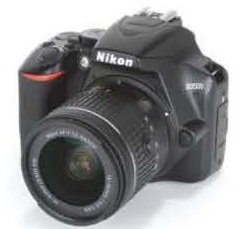 As such it’s the cheapest DSLR Nikon offers, costing around £ less than the more advanced D5600. While the D3500 doesn’t differ all that much internally from the D3400, on the outside it’s all change with the newer model being smaller and lighter, while also gaining some distinct handling advantages thanks to a re­designed body and control layout. The D3500 is built around a 24.2MP APS-C CMOS sensor and Nikon’s EXPEED 4 image processor – a pairing that has served a number of other Nikon DSLRs extremely well in recent years. While effective resolution is identical to both the D3400 and D5600, Nikon has said that the D3500 is fitted with an updated sensor. 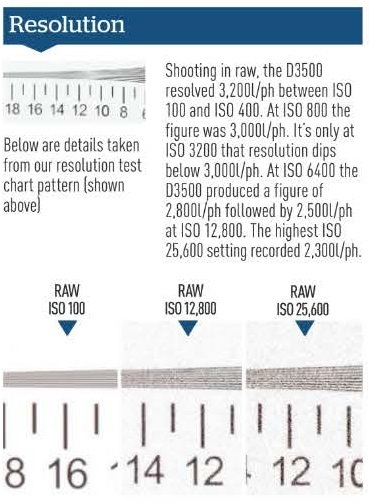 As with many other recent Nikon DSLR releases, the D3500 does without an optical low-pass filter, so as to maximise the sensor’s ability to resolve fine detail. For those looking to shoot mainly JPEGs, the D3500 comes with the usual range of handy processing tools. This includes Nikon’s proprietary shadow-boosting Active D-Lighting technology, alongside tools for vignette control, distortion control and noise reduction. 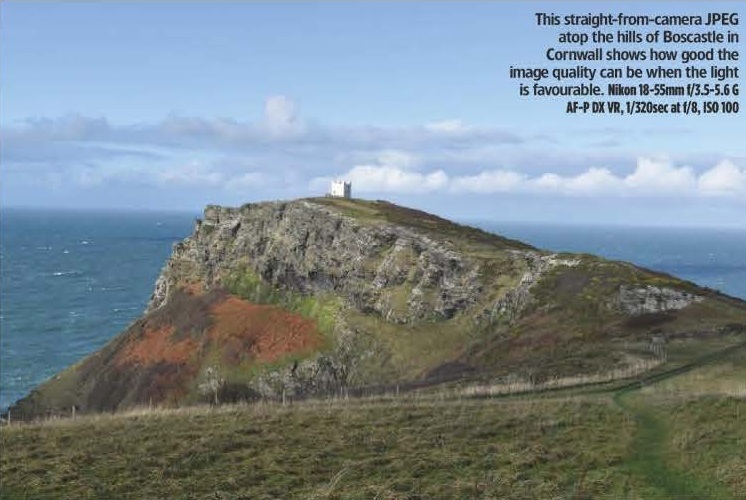 Furthermore, users can also select from a range of seven Picture Controls that adjust things like contrast, saturation and sharpness to give images a specific look and feel. As ever the options are: Standard, Neutral, Vivid, Monochrome, Portrait, Landscape and Flat. 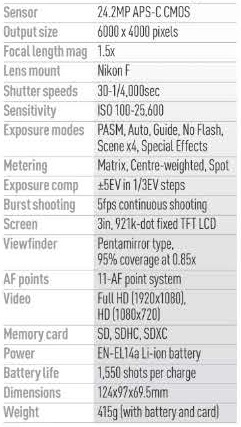 In terms of exposure modes the D3500 offers Program, Aperture-priority, Shutter-priority and Manual (PASM) modes for more experienced users, alongside a fully automatic Auto mode for point-and-shoot duties and a Forced Flash Off mode. In addition, there are four individual Scene modes: Portrait, Sports, Close-up and Night Portrait, plus an Effects mode that allows you to apply a range of digital filter effects at the point of capture. This useful processing tool is designed to lighten shadow areas and preserve highlight detail when faced with high-contrast scenes. The camera allows you to set Active D-Lighting to ‘on’ or off settings. The built-in flash isn’t particularly powerful but can be used to illuminate close subjects. It’s also compatible with Nikon’s Creative Lighting System, which allows you to use the pop-up flash to fire compatible flashguns. Like its predecessor, the D3500 provides an extensive Retouch menu, which includes the ability to convert raw files to JPEGs as well as making a range of adjustments to captured images. Accessed from the Effects setting there are 10 digital effects filters: Night Vision. Super Vivid. Pop. Photo Illustration. Toy Camera Miniature. Selective Colour. High Key. Silhouette and Low Key. The D3500 is fitted with a fixed 3-inch. 921k-dot LCD screen that is vivid and sharp, but lacks the touchscreen capabilities of the 05600’s display. The 03500’s pentamirror-type viewfinder provides 95% frame coverage. Pressing the ‘i’ button on the back of the 03500 brings up a Quick Menu on the rear display that provides direct access to all of the key camera settings. This allows you to see exactly how the camera has been set up and make quick adjustments. 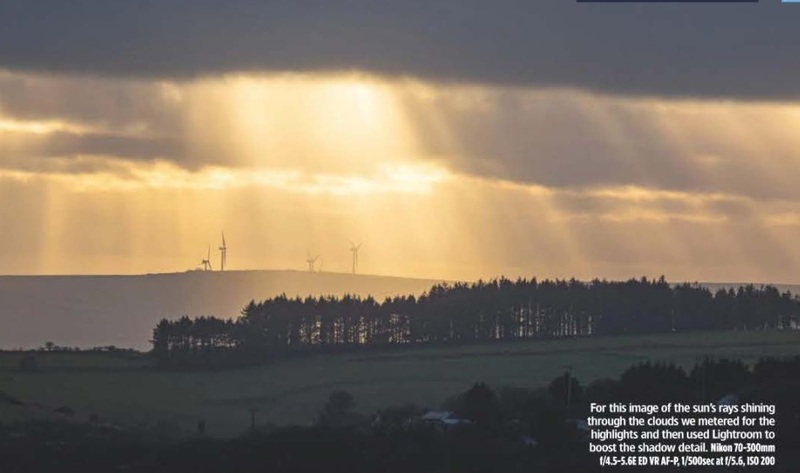 users are given a choice of ‘Easy’ and ‘Advanced’ shooting options, with the latter helping new users to do things like freeze motion, soften backgrounds and capture flowing water using a long exposure. 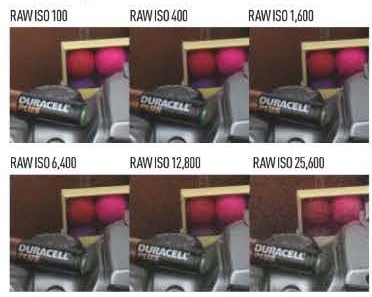 While more experienced DSLR users can simply avoid Guide Mode altogether, first-time DSLR users may well find it immensely helpful. Video capability extends to 1080p Full HD video at up to 60fps, which compares favourably with the 1080p/30fps maximum setting of the Canon 2000D. Sound is recorded by a built-in monaural microphone that can be adjusted via the in-camera menu, although in keeping with the D3400 there’s no input for an external microphone – for this you’ll want to look at the D5600. In terms of connectivity, the D3500 comes with Nikon’s proprietary SnapBridge technology, although as with the D3400 this comes at the expense of Wi-Fi, which is not supported. Instead, SnapBridge employs Bluetooth and connects directly to your phone or tablet via Nikon’s Wireless Mobile Utility (WMU) app Once installed, you can choose to automatically transfer 2MB images directly to a connected smartphone or tablet, or you can manually export images at their original size. New for the D3500 is the ability to control the camera remotely via the WMU app too. Note that this does come at the expense of the infrared receiver that was located on the front of the D3400, which has been removed from the D3500. Pairing and set up is a straightforward task, and we found SnapBridge worked flawlessly during our time with the D3500. This new model sports a slimmed down and, to our minds at least, slightly more stylish look. It’s slightly smaller (and lighter) overall. This is primarily down to the fact that the D3500 is housed within a modified D5600 body, which at the time of its release in 2016 was billed as one of the smallest DSLRs on the market. The handgrip is actually slightly wider and squarer than it was on the D3400, and combined with the more pronounced thumb-rest on the back, helps improve the camera’s general handling and also makes it feel more balanced when using larger lenses. Nikon has also relocated many of the buttons, moving them from the left-hand side of the camera to the right-hand side and top plate. The small control wheel found on the back of the D3400 has also been replaced with a prominent wheel on the top plate – as per the D5600. Likewise, the Live View button has been replaced with a small lever to the side of the exposure mode dial. Sadly though, the Fn button has been removed. Overall, while there was nothing inherently wrong with the design and handling of the D3400, we found that the redesigned body and remapped controls of the D3500 make it a more enjoyable camera to use overall. In terms of build quality, the D3500 is encased within a polycarbonate shell that’s robust enough to withstand the odd knock, but obviously not up to the same standard as the magnesium alloy casings employed by models higher up the range. Neither is the camera weather-sealed, although to be fair we wouldn’t really expect that given its price and positioning. While the D3500 isn’t as powerful as more expensive Nikon DSLRs it remains a capable little camera in all but the most demanding situations. During timed tests we recorded 100 full-resolution JPEGs at 5fps before the memory buffer filled. In raw capture this dropped to around 12 consecutive images, while in raw+JPEG the figure was just six images. All in all. these figures are respectable and certainly on par with what we’d expect of an entry-level DSLR. By way of comparison, the Canon 2000D records just 40 full-res JPEGs before the frame rate drops, although the figures for raw and raw+JPEG are almost identical as the D3500. Autofocus duties are catered for by the same Nikon Multi-CAM 1000 module employed by the D3400. It provides 11 AF-points arranged in a diamond formation across the viewfinder. Focus lock speeds through the viewfinder are impressively quick, with the AF module locking on the instant you half-press the shutter button. Switching to Live View the D3500 remains fast and accurate in all but the dimmest light, and is faster than Canon’s EOS 2000D, which is painfully slow by comparison. The D3400 was already a step ahead of the competition with regards to battery life, and the D3500 takes this further. The Nikon EN-EL14a Li-ion battery is now good for 1500 shots on a single charge – as opposed to 1200 on the D3400. By way of comparison, the Canon EOS 2000D is rated for around 500 shots per charge, while the D5600 is capable of 820. The D3500 is therefore, and by some margin, a class-leader in this respect. As with resolution we achieved better results with manually processed raw files over in-camera JPEGs. At sensitivities under ISO 800 images are clean and sharp. At ISO 3200. image quality does begin to break down more markedly, with elements of luminance noise evident in JPEGs and processed raw files. You still get useable results at ISO 3200. but it’s harder to disguise the effects of noise at ISO 6400 and above. WHILE the D3500 inherits much from the D3400 that preceded it, there are some differences which combine to make the D3500 a better camera overall The redesigned body clearly borrows a lot from the upper entry-level D5600 and the enlarged handgrip helps to make the camera feel more comfortable and better balanced when used with larger, heavier lenses. On top of this, the battery life has improved and the images it outputs are very respectable.Available for around, with the 18-55mm AF-P VR lens, or with the non-VR 18-55mm AF-P lens, the D3500 is keenly priced and represents excellent value for money. If you can live without the slightly larger vari-angle touchscreen and more advanced 39-point autofocus system offered by the D5600, then the D3500 is undoubtedly an excellent choice for the first-time DSLR buyer In all, it’s a reliable little camera that we have absolutely no hesitation in recommending to beginners. SAMSUNG QE65Q90R Review: Bridging the tech divide?